Brief Synopsis – A married couple re-examines their relationship after theur best friends get divorced. My Take on it – I have always been a fan of small intimate films that have just a few characters but is filled with engaging dialogue. This is a film exactly like that! It originally was a stage play that was adapted for TV, but since it only has 4 main characters, the trick is to get the right actors to deliver the superbly engaging conversations. 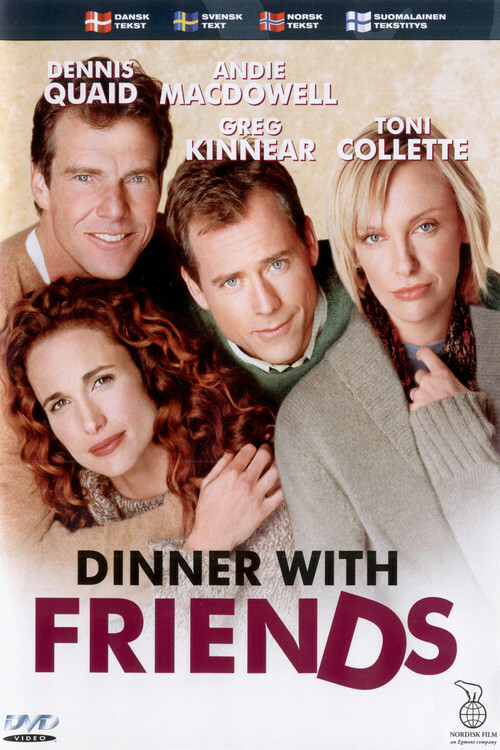 Dennis Quaid, Andie McDowell, Greg Kinnear and Toni Collette are all perfectly cast here as the two couples and they definitely keep us engaged throughout. The conversations and situations presented here feel so authentic and real that it’s quite easy to believe that we are part of these conversations as they are taking place. It’s so easy to relate to every one of these characters and eventhough we only know them a very short period of time, we feel quite comfortable listening in on their private conversations that usually only happen between spouses. What’s even more amazing is that we are basically given four very different interpretations and stances on the exact same situation; everything depends on perspective in life and that is part of what this movie is trying to show us… and they do it amazingly. The fact that we also get to see these four perspectives debated amongst the characters makes it even more special. Bottom Line – Such a great movie because of the superb dialogue. I love movies that are dine intimately like this one. There are only 4 main characters and the conversations between them feel so real and authentic. In such a short span of time, we are introduced to characters and can relate to them and their lives so easily. Excellent cast! Gives us a unique look at the same situation from four completely different viewpoints and lets them each debate their stance to one another. Highly Recommended! Can’t believe I hadn’t heard of this movie until now. You always introduce me to good movies. I never heard of it before last week also. Found it by accident and really loved it. Can’t wait to hear ur thoughts on it. I do love discivering hidden gems.